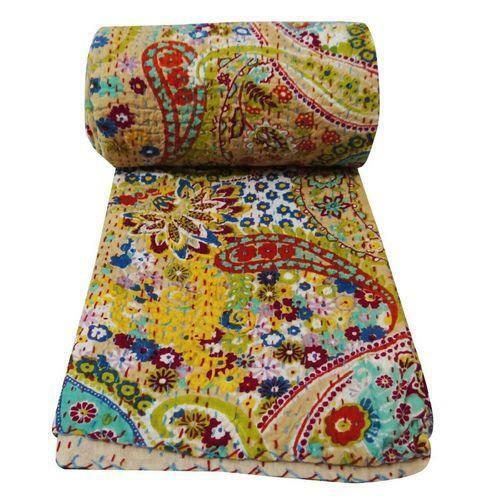 Prominent & Leading Manufacturer and Exporter from Jaipur, we offer Vintage Kantha Quilt such as Handmade Vintage Bangali Gudri, Vintage Quilts and Bedsheets, Indian Handmade Vintage Kantha Quilt, Indian Cotton Quilts Bedspread, Indian Kantha Quilts Bed Sheets Blankets, Indian Flower Print Twin Bed Sheet, Vintage Kantha Quilts, Quilts Patterns and Hand Quilted Quilts and many more items. We are foremost manufacturer, exporter, wholesaler and supplier of supreme grade of Patch Gudris. The offered range of patch gudris are fabricated by using optimum quality fabric and leading techniques for to maintaining its compliance with universally set norms. Along with that, our honored customers can obtain this patch gudris in numerous stipulations as per their ever-evolving requirements. 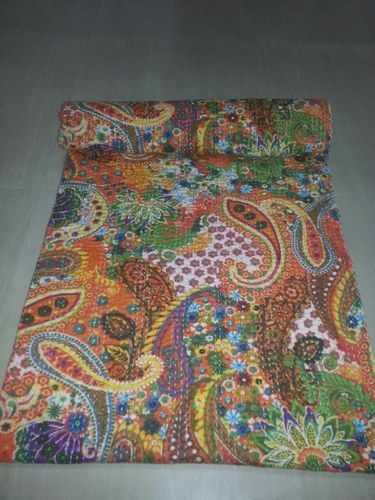 These patch gudris are perfectly checked by our quality specialist for flawless supply. 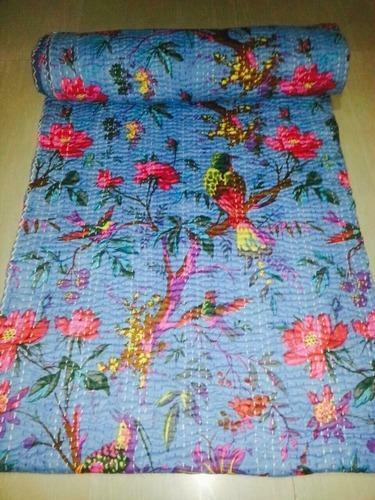 This is a special hand crafted Kantha. The entire piece is painstakingly with thousands of small and delicate kantha stitches to create a one of a kind masterpiece! It is reversible, can be used from both sides. Both sides have different patterns/prints. 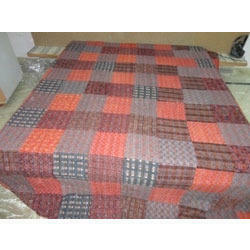 It is made from vintage old cotton saris, and softly quilted .As this is made from vintage sarees, it has some imperfections. They have patches of other color clothes. they might have little stains, although we wash them well before shipping to remove bad odor and spots. Also sizes may vary from piece to piece. All these imperfections make these vintage art pieces more unique, charming & perfect piece for your home. We hope u would love this art. 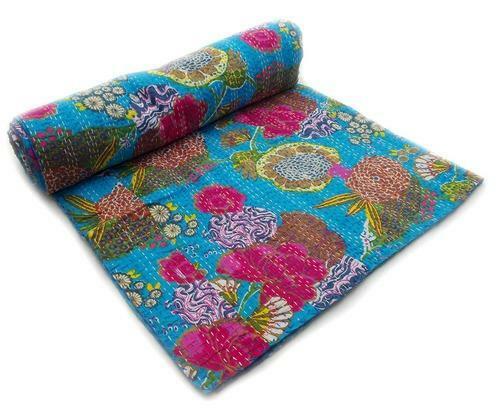 This is a special hand crafted Kantha. 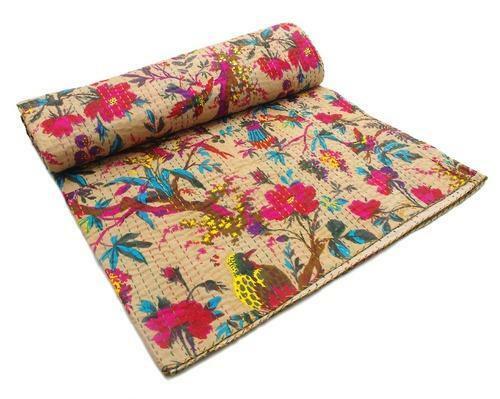 The entire piece is painstakingly with thousands of small and delicate kantha stitches to create a one of a kind masterpiece! It is reversible, can be used from both sides. Both sides have different patterns/prints. It is made from vintage old cotton saris, and softly quilted .As this is made from vintage sarees, it has some imperfections. They have patches of other color clothes. they might have little stains, although we wash them well before shipping to remove bad odor and spots. Also sizes may vary from piece to piece. All these imperfections make these vintage art pieces more unique, charming & perfect piece for your home. We hope u would love this art. 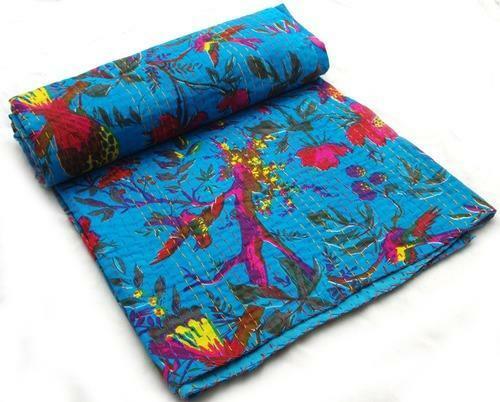 The main objective of our organization is to provide an encompassing gamut of Tribal Kantha Quilts/Gudri. 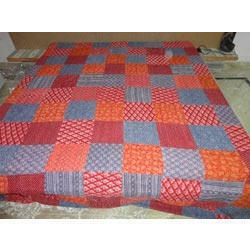 This Kantha quilt/gudri is made by utilizing advance techniques under the direction of experts who use best quality material. 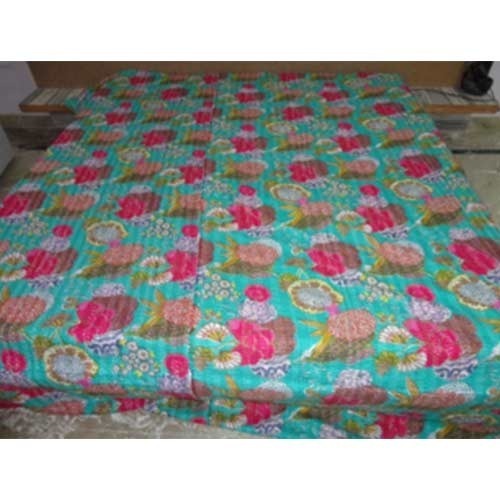 In addition, we check this Kantha quilt against various terms of quality guaranty its quality. Customers can purchase in different sizes at affordable rates within the given time. 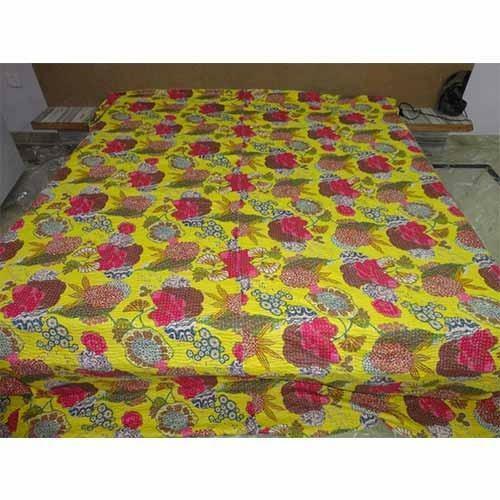 Moreover, our given Kantha quilt is mostly demanded in market. 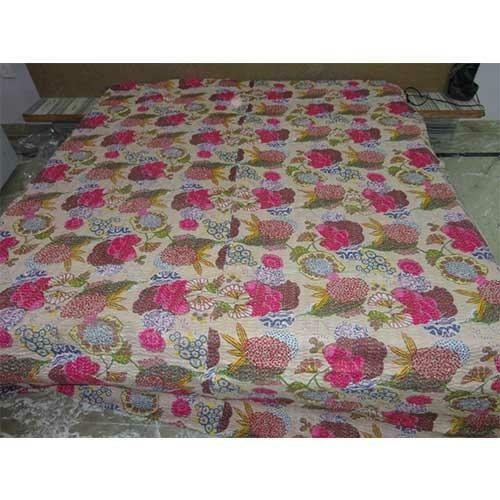 Cotton Indian Quilt Kantha Quilted Bedspreads,Throws,Ralli,Gudari Handmade Bedding very soft glazed cotton fabricThis is a special hand quilted Kantha. 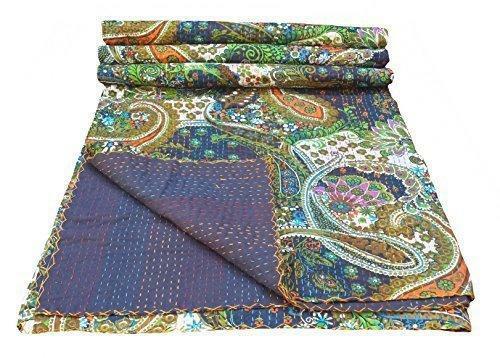 This work is done in countryside that provides work and livelihood for women in COUNTRYSIDE.The entire quilt is painstakingly embroidered with thousands of small and delicate kantha stitches to create a one of a kind masterpiece!Kantha is the ancient Indian art of embroidery, actually the kantha is a simple running stitch. 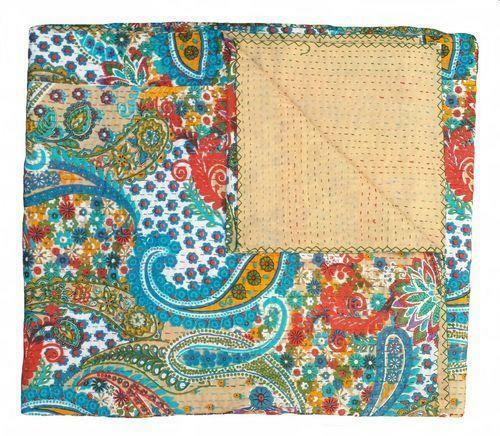 The way in which the stitch has been used is what makes the quilt extraordinary. 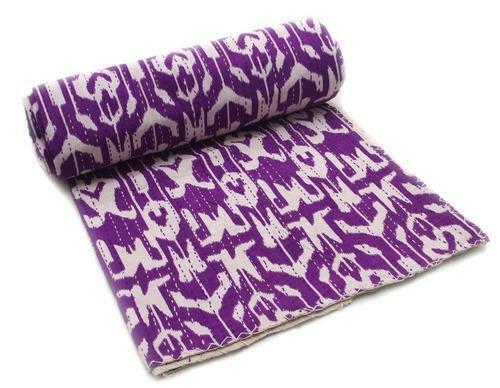 While making the PIECES, the cloth is given layers that are kept together by the stitches. It is made is such a way that it is REVERSIBLE, can be used from both sides.As this is made from vintage sarees, it has some imperfections. They have patches of other color clothes. they might have some stains, although we wash them well before shipping to remove bad odor and spots. All these imperfections make these vintage art pieces more unique, charming & perfect piece for your home. We hope u would love this art. 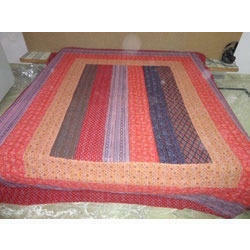 The main objective of our organization is to provide an encompassing gamut of Tribal Kantha Quilts. 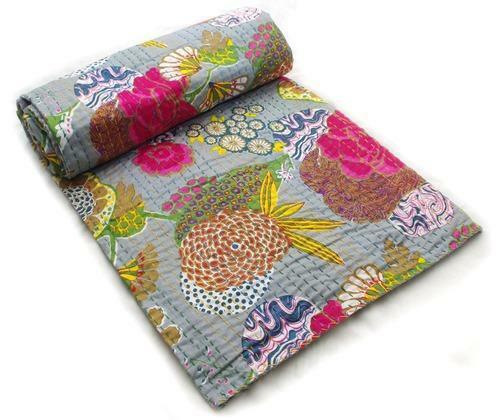 This Kantha quilt is made by utilizing advance techniques under the direction of experts who use best quality material. 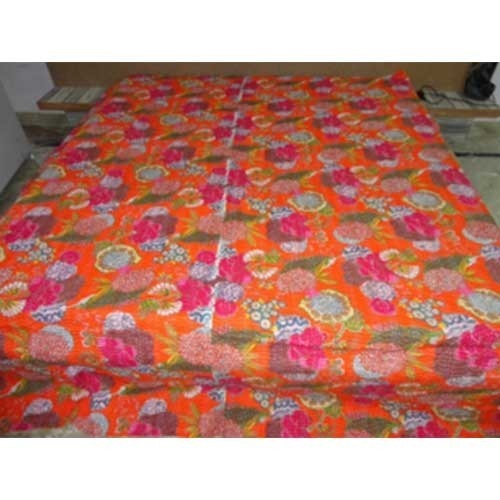 In addition, we check this Kantha quilt against various terms of quality guaranty its quality. Customers can purchase in different sizes at affordable rates within the given time. 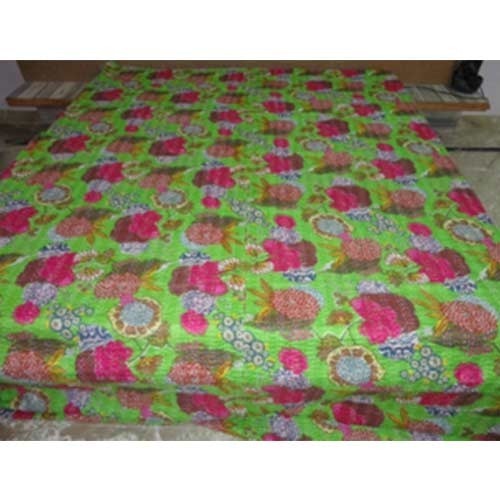 Moreover, our given Kantha quilt is mostly demanded in market. 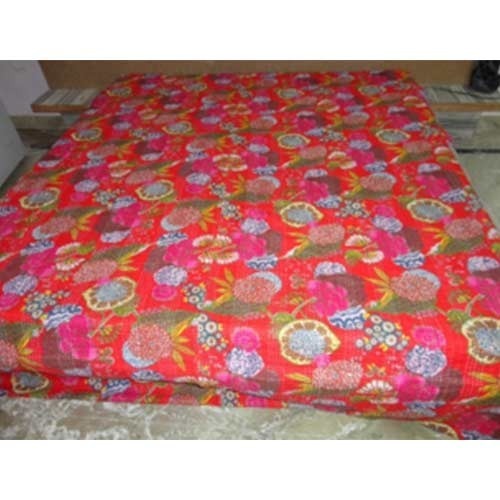 We are recognized in the industry for offering an extensive range of Kantha Flower Bed Sheets, kantha Handmade Printed Quilts. 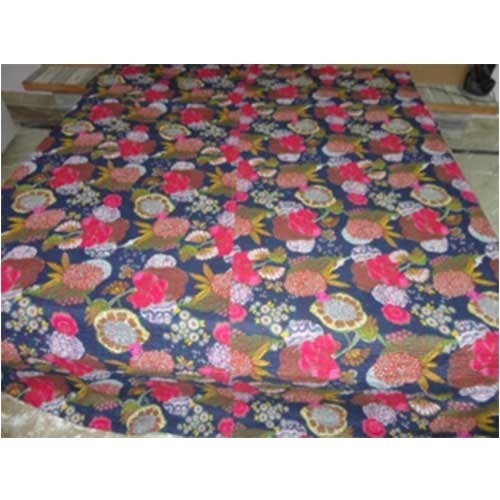 By utilizing best grade of fabric and modern machinery, our hardworking workers fabricate these qualitative handmade printed quilts as per prevailing latest trends. 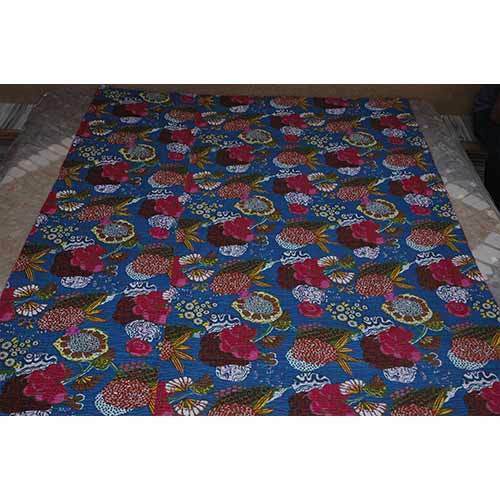 In addition to this, our offered handmade printed quilts range is broadly demanded in the market for featuring several attributes like long lasting colors & easy to wash. Customers can take these handmade printed quilts from us at market leading rates. 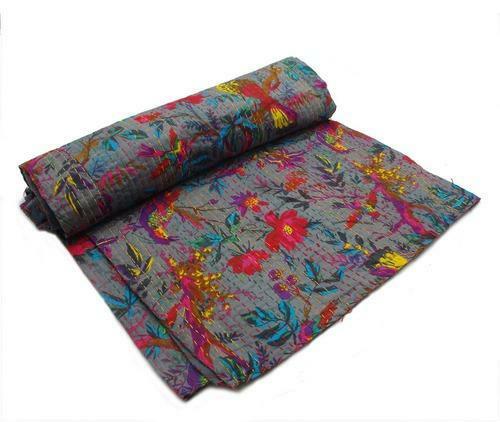 The main objective of our organization is to provide an encompassing gamut ofTribal Kantha Quilts. 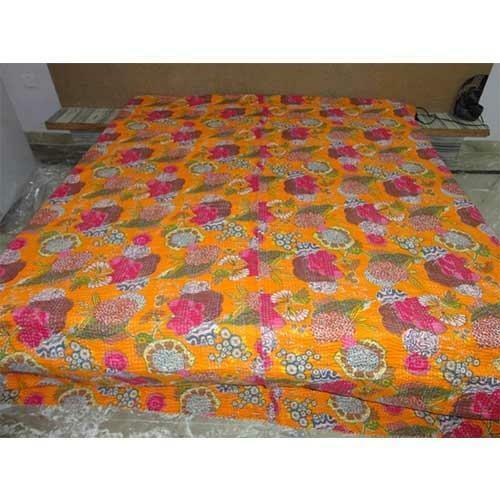 This Kantha quilt is made by utilizing advance techniques under the direction of experts who use best quality material. 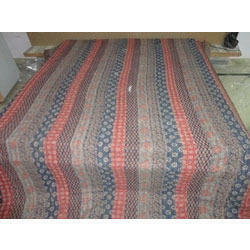 In addition, we check this Kantha quilt against various terms of quality guaranty its quality. Customers can purchase in different sizes at affordable rates within the given time. 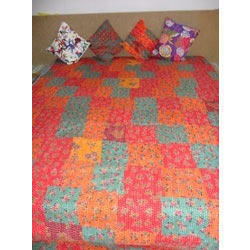 Moreover, our given Kantha quilt is mostly demanded in market. 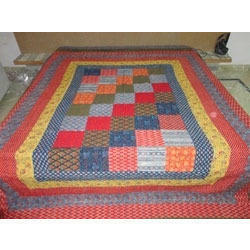 Handmade Blockprinted/Block Patch kantha Quilt/Rali/Gudari & it seems the traditional ludo game. 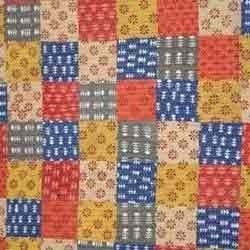 Handmade blockprinted/block patch kantha quilt/rali/gudari & look the tradtional ludo game style. 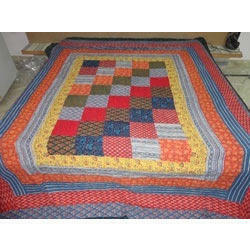 Handmade blockprinted/block patch kantha quilt/rali/gudari stipes look. 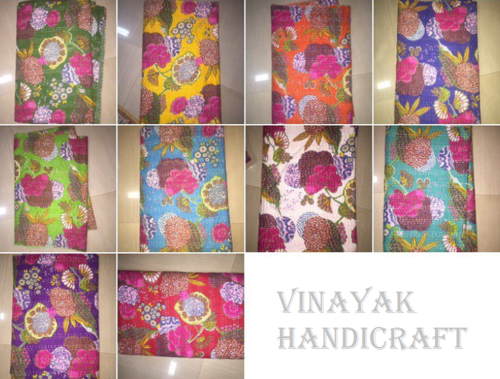 Handmade blockprinted/block patch kantha quilt/rali/gudari. 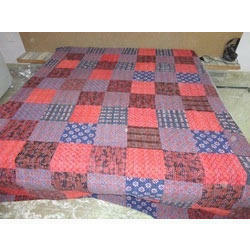 Looking for “Vintage Kantha Quilt”?